Turner's Tokens: Steampunk event in Houston! 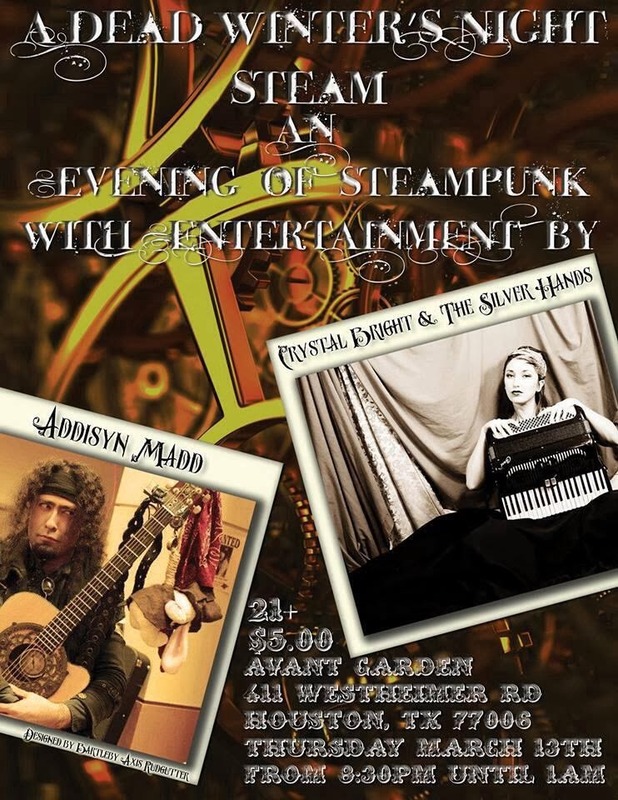 Crystal Bright & the Silver Hands w/ Addisyn Madd present an evening of Steampunk! Steampunk event in Houston! More info TBA. HOUSTON VARIETY SHOWCASE - Feb 24 - 8p-11p!